Light and air are the natural enemies of dried herbs and ground spices. Left whole, the natural oils and resins of the seeds which are the flavour vehicles are preserved, but once the spice is ground, they evaporate quickly and the flavour fades away. This is good reason to buy spices in small quantities, to be fussy about choosing products that are vacuum sealed, to transfer opened packages into glass jars with tight fitting lids and to give space to your spice rack in a kitchen cupboard or drawer away from heat and light. Your nose is the best guide when assessing if spices are still good enough to use. Rub some spice between your fingers. If the aroma has faded then you can be sure that the flavour has too. Because there is no guarantee that packaged ground spice mixes have been treated with respect by food wholesalers and retailers, I like to make my own. I buy whole spices online from “Herbies,” a specialist spice shop in Sydney. The cost of postage for a next day delivery of super fresh spices far outweighs the cost of wastage from faded flavour. The taste of freshly ground garam masala is more fragrant, more complex and much more enticing than a mix made to price by a generic grocery manufacturer. Treat yourself next time you make an Indian dish, grind a fresh batch of garam masala, if stored carefully it will keep at it’s best for up to a month. I use garam masala in chicken biryani, tomato fish curry with peas, rogan josh, aloo gobi, carrot and pea curry, eggs in curried tomato gravy and saag paneer, as well as many many more. Remove the cardamom seeds from the pods and discard the pods. Break the cinnamon stick and the bay leaves into small pieces. Pound the spices in a mortar and pestle or put them into a grinder and process to a coarse powder. Store in a airtight container away from light and heat for up to one month. Sage advice, if you will pardon the awful pun. Freshly ground wins every time. It does Conor, sage especially! I just love spices, I need to start buying them whole. Great post! Great advice! From years of catering, I still seem to buy herbs and spices by the pound bag! I need to stop doing that. I’ve always frozen the sealed bags, and that has always worked well for me, but the ground spices last longer than the dried herbs, like oregano and thyme. And I did have to throw some out recently. All you have to do is smell!!! Lovely mix- I can almost smell it. Does Herbie sell Indian Cassia leaves? This one is always missing from my spice cupboard. Yep, Herbie does sell Cassia leaves. They have a unique flavour and make this garam masala extra good IMHO. This post is very timely indeed Sandra… last weekend I picked up a pre-loved copy of Ian Hemphill’s book ‘Spice Notes’ at the Lifeline Bookfair. I hadn’t ever seen it before, but appears to be the herb/spice version of Stephanie Alexander’s ‘The Cook’s Companion’… so, an exciting pick-up! Margot, Spice Notes is brilliant a valuable reference indeed, I refer to it frequently although I think the only recipe I have made is dukkah. Freshly ground garam masala leaves all others for dead! Agreed, although I do not always feel like grinding spices I can certainly tell the difference. Great photo, I can almost smell them. Love Herbies spices too. How did your move go? Herbies are the best! We had 10days in limbo waiting for our Brissy home to be vacated, but we’re in now, still unpacking, but the place is beginning to feel like home. Ready to start cooking again! I so agree with you! Not having a Herbies to rely on (and wouldn’t that be wonderful if they had an Athens branch), I will need to source whole spices. My mortar and pestle are arriving soon. Many of our Greek friends love a good curry. I’m quite pedantic about spices and always grind freshly when I can. The flavour difference is marked. Are you settling into the Athenian life? 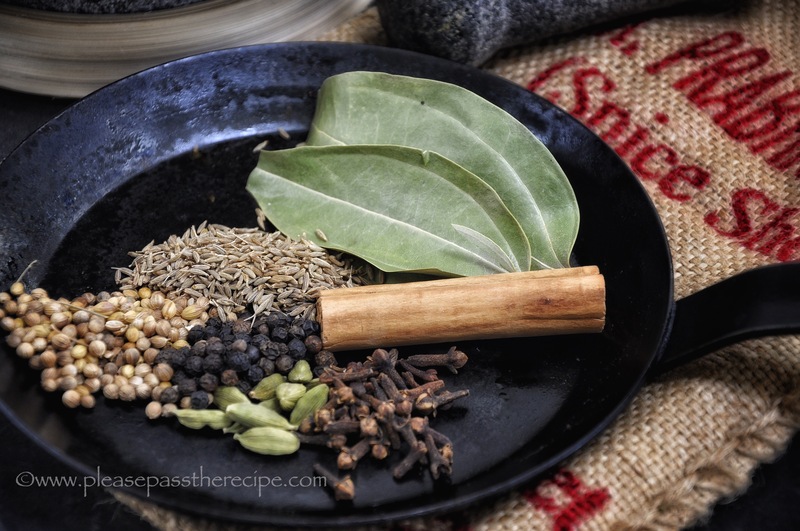 This entry was posted on September 22, 2015 by ladyredspecs in FODMAP diet, Food, Pantry Essentials, Spice blends and tagged cassia leaves, cinnamon, cloves, coriander, cumin, curry, garam masala, peppercorns, spice blend.